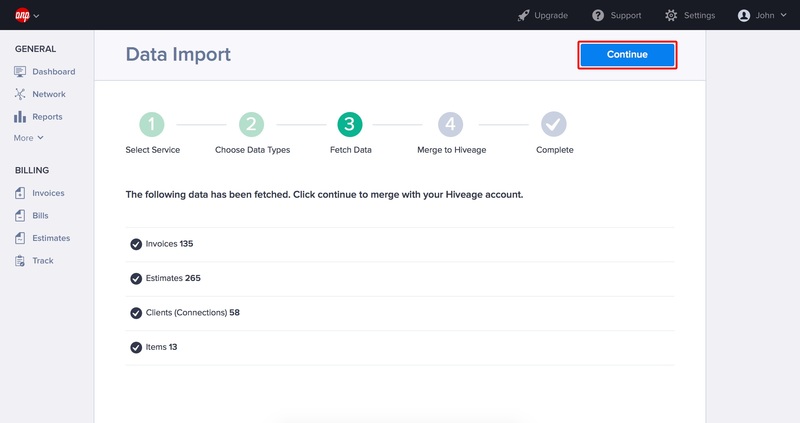 Hiveage lets you import all your Freshbooks data into your account quickly and easily. Login, and click on the My Account tab at the top. Click on Freshbooks API on the second level of tabs. You will be taken to a new page where you see the API URL and the Authentication Token. Copy the Authentication Token. Click on Settings and select Data Import/Export. You will be taken to a new page. There, select Import Data into Hiveage. Select Freshbooks as your data source and and click Continue. Paste the Freshbooks API Key you copied over in the required field, and enter your Freshbooks ID as well. 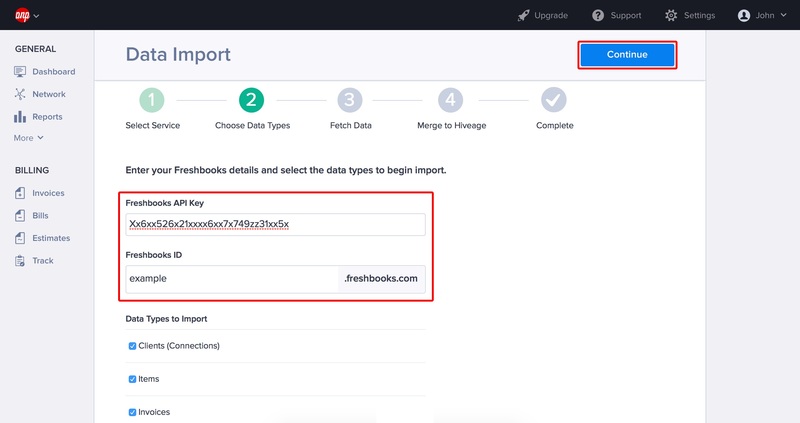 Select the data types you want to import from your Freshbooks account, and click Continue. On the next screen, you will see a summary of the fetched data. Click Continue to merge this data with your Hiveage account. When the data has been successfully fetched and merged with your Hiveage account, click I am done. And that’s it. 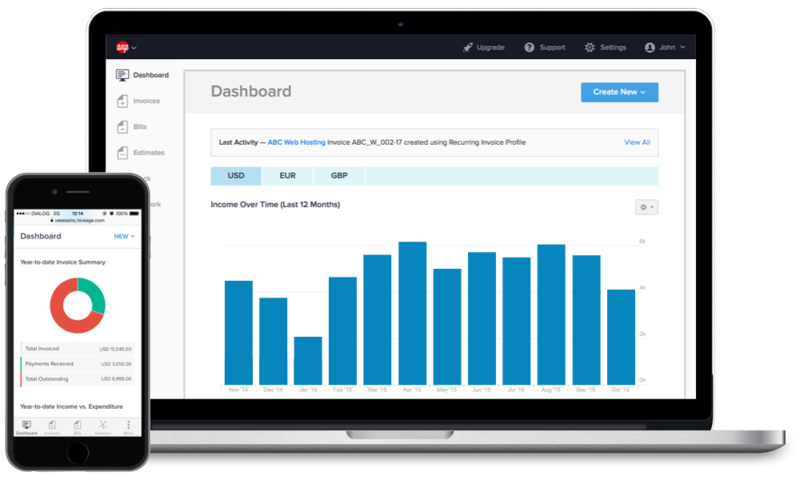 Your Freshbooks data can now be used in your Hiveage account!